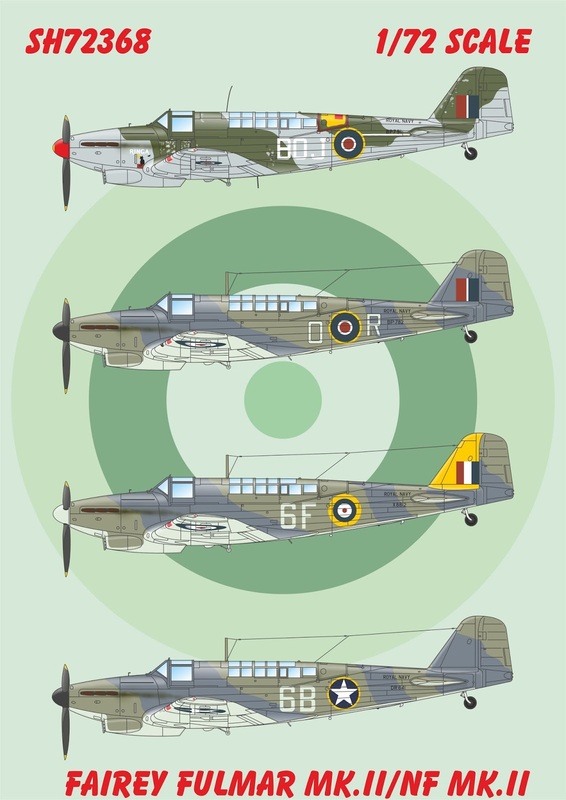 Special Hobby re-release of the 1/72 Fairey Fulmar Mk.II / NF Mk.II kit has been planned for the month of June. 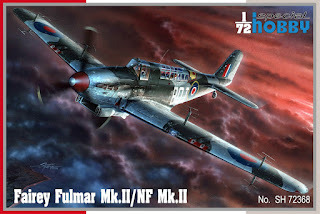 The model scheme options will offer four machines, three of which are a standard fighter version while the fourth depicts a night flying Fulmar. 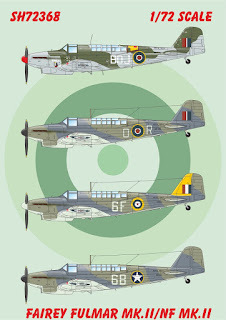 One of the Fulmars bears white stars painted over its roundels as it took part in Operation Torch, the British-American invasion of French North Africa. 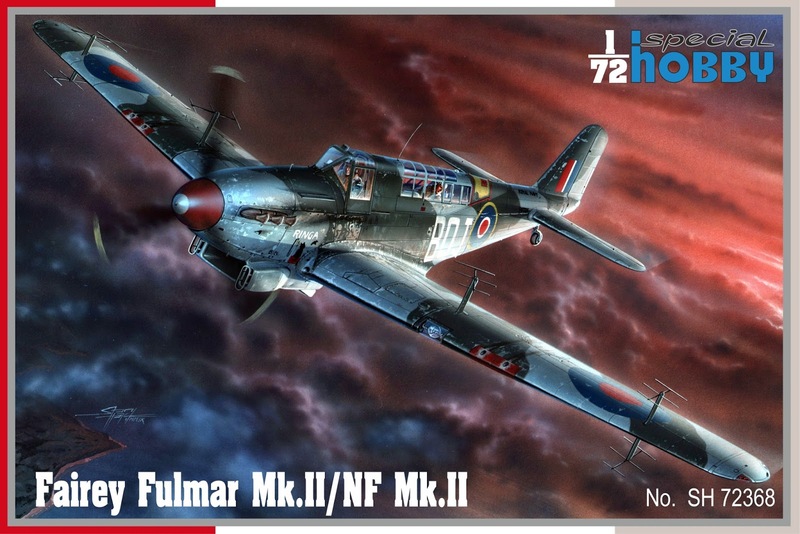 The model comes with resin and photo-etched parts.